Ethereum (ETH) is an open source decentralized platform that allows anyone to build and use applications running on the blockchain technology. Ether, the cryptocurrency behind Ethereum, is a payment for executing operations and an incentive to ensure quality programs are being built. Ethereum differs from the more popular cryptocurrency, bitcoin, as it is a ledger technology that is being used to build new programs, whereas bitcoin is purely a currency. 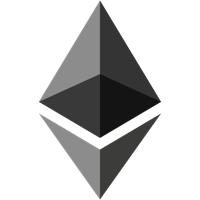 Visit our full ethereum mining calculator. We don't have any debit cards listed for Ethereum (ETH) yet, check back soon!